Czech Fed Cup team leaders Petra Kvitova and Lucie Safarova won't be appearing on the indoor hard court in Lucerne tomorrow as the Czech Republic takes the next step toward defending their Fed Cup championship. Safarova is still in recovery mode from her two serious illnesses, and Kvitova--who didn't win any rubbers in the first tie of the season--has opted to focus on her clay season preparation. Both players have performed extremely well in Fed Cup competition in the past. However, in the last two competitions--one, the 2015 final--it was Karolina Pliskova who took the lead, and saved the day, along with her trusty doubles partner, Barbora Strycova. And to make matters even less threatening for the Czech team, Switzerland's team just lost Belinda Bencic because of injury. That means that Timea Bacsinszky has to do the heavy lifting for Switzerland and get wins against both Pliskova and Strycova in her singles rubbers. Victorija Golubic will also compete for the Swiss team, and--while anything can happen in Fed Cup play--beating the Czech players will be an uphill battle for her. Bacsinszky and Martina Hingis are scheduled to play doubles against Denisa Allertova and Lucie Hradecka. Should it come down to fifth and deciding rubber, however, the Czech roster is likely to change, and Pliskova and Strycova could once again pull double duty. A doubles match between Pliskova and Strycova and Bacsinszky and Hingis would probably be a very exciting occasion. Should anything unexpected happen, the Czech Republic could do worse than have Allertova step in to play singles. Ranked 61 in the world, Allertova has shown some recent promise. In the other semifinal, France will compete against The Netherlands on indoor red clay. Caroline Garcia and Kiki Mladenovic are now Fed Cup-tested, and they have generally performed well for Coach Amelie Mauresmo. However, both players have noted weaknesses. Garcia can go away mentally, and Mladenovic's big serve can betray her because--as good as it is--she has trouble controlling it. Alize Cornet (notoriously poor in Fed Cup singles play) is scheduled to play with Pauline Parmentier in doubles, but again--if the doubles rubber is the deciding contest, we can expect replacements. Garcia and Mladenovic just won the Charleston title, so that one is a no-brainer. The French team also famously defeated Sara Errani and Roberta Vinci in very exciting Fed Cup play last year. Kiki Bertens is a Fed Cup beast. with a singles record of 13-1, and an overall Fed Cup record of 19-2. The Russian team apparently hadn't been playing attention to this fact when they played The Netherlands in the February tie, and Bertens beat both Ekaterina Makarova and Svetlana Kuznetsova. Richel Hogenkamp, who also defeated Kuznetsova, is once again on the team. Unless the Dutch players get stage fright, they are to be considered a real threat to the French team. 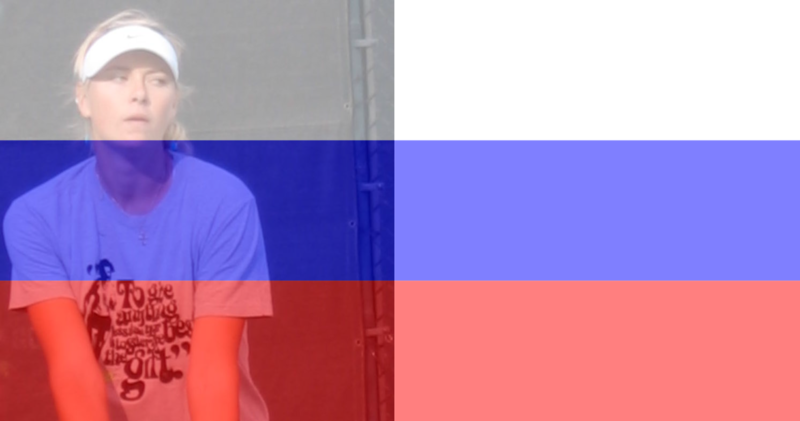 In the World Group playoffs, Russia's young star, Daria Kasatkina, will play a Belarusian team led by Vika Azarenka. Margarita Gasparyan, who isn't too shabby herself, will also play singles for Russia, and Elena Vesnina is on hand to play doubles. Of course, if a substitution has to be made in singles, Charleston runner-up Vesnina is an excellent choice. This play-off will take place on a red clay court, which gives Kasatkina a bit of an edge, and which takes some of the edge off of Azarenka's formidable game. The Spain vs. Italy playoff also takes place on red clay (in Spain), and who doesn't want to see Garbine Muguruza and Carla Suarez Navarro go at it against Sara Errani and Roberta Vinci?! Simona Halep and Irina-Camelia Begu, both excellent clay court players, will perform on an indoor clay court against Germany's Angelique Kerber and Andrea Petkovic. Petkovic, despite her ups and downs on the tour, brings her best tennis to Fed Cup. Also on hand for Romania will be Alex Dulgheru and Monica Niculescu, and for Germany--Annika Beck and Julia Goerges. This is an interesting tie that could become long and drawn out. Also, Kerber just had to retire from the Charleston semifinals because of a viral illness, so that could be a factor. Finally, the USA plays Australia in Brisbane. Madison Keys and Christina McHale are scheduled to play singles, and Bethanie Mattek-Sands and CoCo Vandeweghe are on the USA roster for doubles. Sam Stosur and new Aussie Daria Gavrilova will play singles for Australia and Casey Dellacqua and Stosur are scheduled to play doubles. The rubbers will be played on an outdoor clay court, which isn't at all unfriendly toward Stosur. Should it all come down to a deciding doubles rubber, it could go either way--these are both very strong teams. But it's hard to imagine that it will come to that unless Stosur goes into one of her "Oh no--I'm in Australia!" slumps.